Another consequence of changing a public policy to benefit the 6- 7% of adults who use marijuana is the slew of hash oil explosions which have occurred this year. Making BHO, butane hash oil is a relatively easy, but dangerous, process. Did anyone figure ambulances, fire fighters and emergency medical care into the cost of legalizing marijuana? Voters in Oregon, Alaska, Washington, DC, and two cities, Lewiston and South Portland, Maine, need to think of possible consequences before legalizing another dangerous drug. States considering medical marijuana also need to factor in the legality of making BHO, and the cost for public services when the fires occur. Get the Parents Opposed to Pot Hash Oil Facts! Download our new flyer, which describes the hash oil explosions in states which have permissive marijuana laws: POPPOT-Hash Oil Statistics. Denver Mayor Michael Hancock called a meeting last week to pass an ordinance that would restrict unlicensed amateurs using flammables to process marijuana. There have been 8 blasts in the city of Denver this year, and 31 in the state. After an objection was voiced at the meeting on September 15, the discussion was tabled. Congress made a huge mistake, when on May 30, the House of Representatives voted not to allow Drug Enforcement Administration (DEA) funds to be used to investigate federal violations in states with medical marijuana. The marijuana industry told voters marijuana is “safer than alcohol,” but the social and public service costs must be staggering by now. The fires and explosions are increasing, because extracting hash oil from marijuana has become more popular. The promised tax revenues from marijuana are much lower than was projected, and black markets still thrive. “Hash Oil’s Trail of Seared Skin and Annihilated Homes” reports of one death in Hawaii early this year and one death in Oregon last year. “March Madness” was a term used to describe the numerous hash oil blasts that took place during one month this year. Five explosions happened in Colorado during one week in April. Butane hash oil must be made in an open or well-ventilated area. 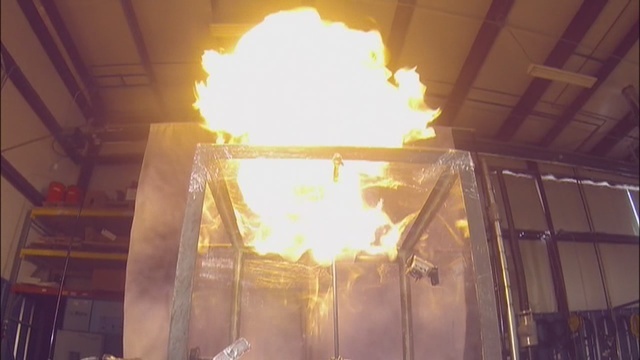 If the butane sparks something else, explosions can occur. What makes it dangerous is that butane is highly flammable, sensitive to heaters, pilot lights, electric cords, a cigarette or the slightest spark of a match. Of the 31 hash oil explosions that had occurred in Colorado by early May this year, 21 involved injuries and 10 of those suffered from major burns requiring extensive treatment. In the previous year, there were 11 such explosions in the state, with 11 people treated for burns. According to an official of the state’s burn center, at University of Colorado’s burn unit, the first explosion occurred in 2012. Most victims are males in their 20s and 30s. A request to search the records of Oregon’s only burn center over a 16- month period showed that 17 people were treated for butane hash oil burns, including two residents of southwest Washington. A 12-year old girl sustained broken bones after jumping from the 2nd floor, to escape a Medford, Oregon, hash oil fire last November. In California, during a 14- month period from 2013 to early 2014, 27 people were treated for hash oil burns in one Northern California burn unit, 17 in southern California centers. In California, it’s legal for medical marijuana patients to use or buy the hash oil, but illegal for amateurs to make it. We have written previously of the children endangered by theses blasts. Fortunately, no one has died in Colorado from BHO-explosions, though some people have sustained horrible burns. 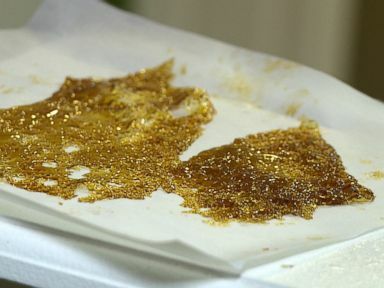 As far as state law goes, making the hash oil in a home is perfectly legal in Colorado, as reported on ABC7 News. 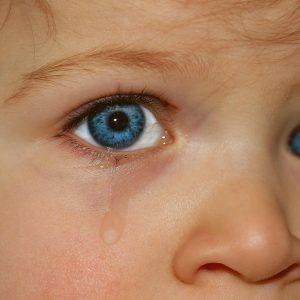 Charges of arson or child endangerment can be filed, however, when there is property damage, others are put in danger, or children are nearby. Federal District Attorneys in Washington, California and Oregon have been excessively slow in response to the explosions, despite the extensive damage to property, deaths and injuries to others. The explosions began 2-3 years ago on the West Coast, but it is only in the last few months that the Department of Justice appears to have decided that action is necessary. Last weekend the Los Angelos Times reported 20 butane hash oil explosions in San Diego County, alone, within the year. There was $1.2 million of damage to an apartment building in San Diego last January. The explosions have occurred from New England to Florida, and from to British Columbia to Arizona. In May, the Oregonian ran a series of online articles about BHO (butane hash oil), detailing the hows and whys of making it, and the explosions. It has only become popular in the last 3 years. 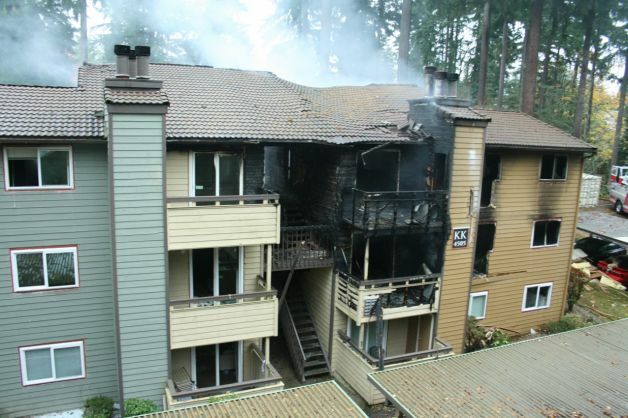 The fire at Bellevue apartment complex resulted in severe injuries to those who had to jump, and one woman who died. 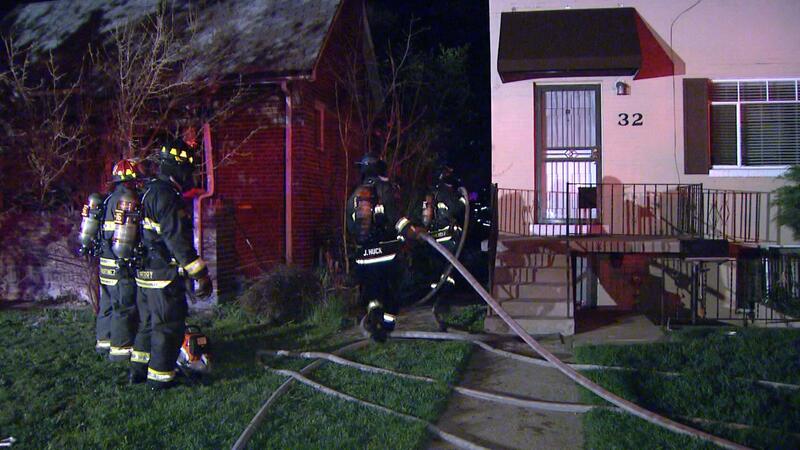 Three men have been charged for the incident of Nov. 5, 2013. On July 22, 2014, the US attorney in western Washington filed charges against seven people, mainly for “endangering human life while manufacturing controlled substances.” The individuals caused fires or explosions in Seattle, Puyallup, Kirkland and Bellevue. The Bellevue fire caused a massive explosion to an apartment complex, $1.5 million in damages, and killed a former mayor of Bellevue. During this occurrence, two women experienced multiple fractures, having jumped from second- and third-floor windows to escape flames. One of those facing federal charges in Puyallup, Washington, was making the hash oil for a marijuana edibles. He’s the owner of an edibles’ company, “Capn Cosmics.” Additionally, he’s charged with endangering the life of a 14-month old child. The District Attorney in Washington asserts that the actions are illegal, because they cause harm to others and to property, although in the past officials found issues of legality hazy in Colorado, Washington and Oregon. 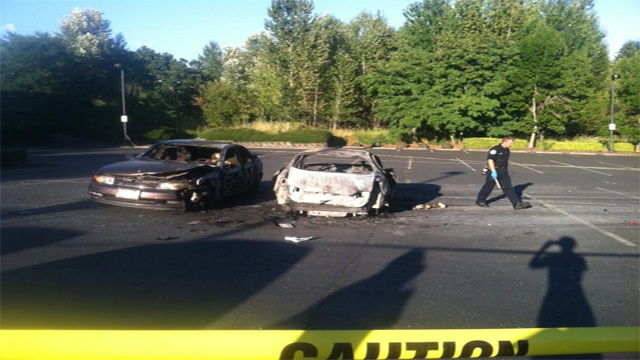 On July 29 in Tigard, Oregon, a parking lot explosion injured one and destroyed or damaged five motor vehicles. A grand jury indicted a California man for knowingly and intentionally creating a substantial risk of harm to human life in connection materials exploded, and for manufacturing marijuana. 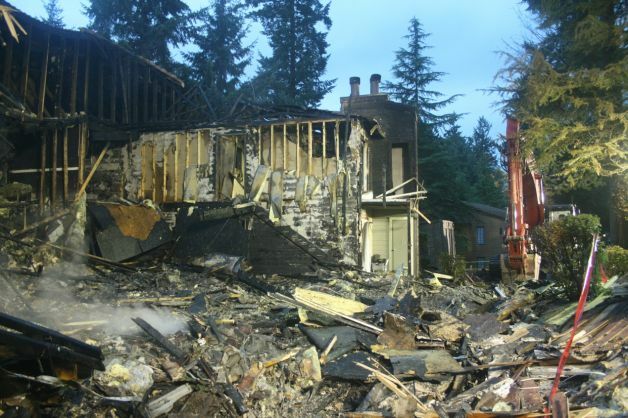 It’s thought to be the first time the U.S. Attorney’s Office in Oregon has filed charges in connection with a hash oil explosion. State regulations in California and Colorado haven’t stopped the explosions. California doesn’t allow medi-pot patients to produce BHO, while Oregon and Washington’s medical pot programs don’t regulate BHO. Colorado and Washington require BHO to be tested for residual butane before being placed on dispensary shelves. Why is Hash Oil Popular? Marijuana users are looking for the quicker, faster high—even though they think marijuana is not addictive. Yet, there are great psychological risks, too, and some users have had psychotic episodes from using this potent substance. For sellers, it’s an easy way to make large profits. However, making it at home is so much cheaper, and it’s gaining popularity. 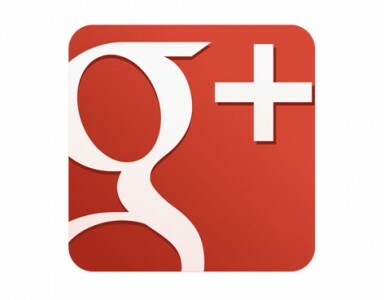 There are plenty of YouTube videos and other online instructions for amateurs to follow. Makers begin by putting cannabis leaves and flowers in an extraction tube, like a pipe. They then put the colorless, odorless butane in that small area to extract the THC quickly, letting it fall through a small filter on bottom. Spraying with butane is called blasting the marijuana, which pulls the THC right out of it. Problems are most likely to occur indoors or when there is not good ventilation. The solvent or butane must be flushed out. It can be boiled off in a hot water bath, which is why some home producers use hot baths or double boilers. Many commercial enterprises have the butane pumped out with a vacuum vacuum chamber to lower butane’s boiling point, pulling butane from the oil. The result is a hash oil which looks like honey. It’s like the crack cocaine of marijuana. The THC content can be 70 to 85 percent, while the average joint may be 20 to 25 percent THC. After cooling, the oil hardens and is broken into bits. Sometimes the explosions occur in the cooling process, as when the refrigerator door blew off in Manitou Springs. There are many nicknames for butane hash oil: “Wax,” “Honey oil,” “earwax,” “dabs” “shatter” and more. It could be smoked, vaped or infused into the edibles. Vaping is a concern, since the vape pens are the e-cigarettes of marijuana. 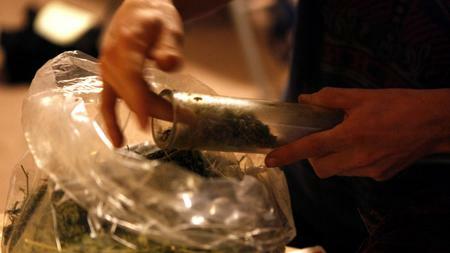 It is a way that teens may be using marijuana without detection. In short, hash oil offers a quick and lasting high for users. A single hit can last more than a day. By making it, it costs a user about 50% less than it would by buying it from a licensed dispensary or maker.